I tend to be a total sucker for any kind of rhythm game. 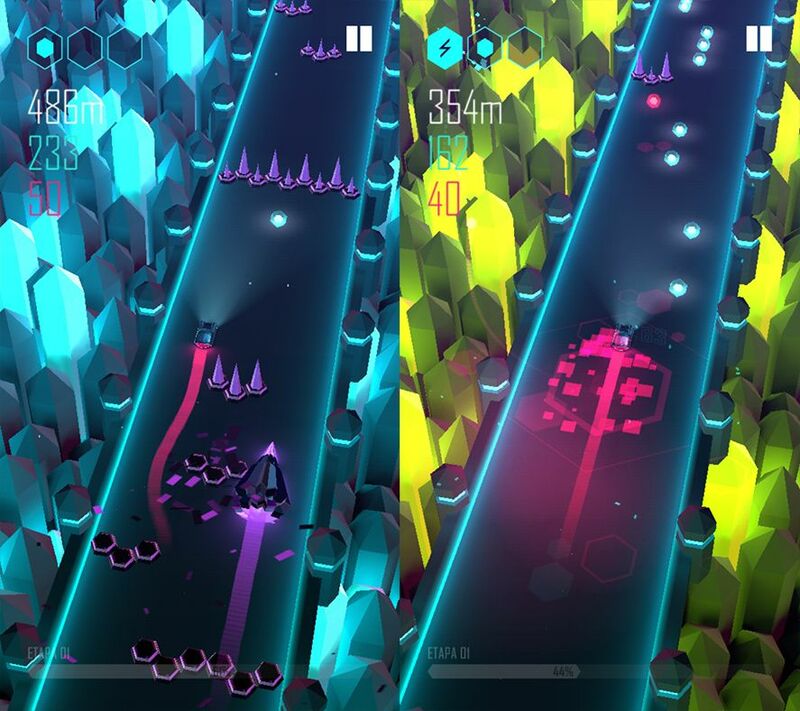 Even if the music element is minimal, as in the case in front of us, rhythm arcade games are a big thing on Android and Beat Racer fits right in among them. This driving game stands out for its terrific graphics. 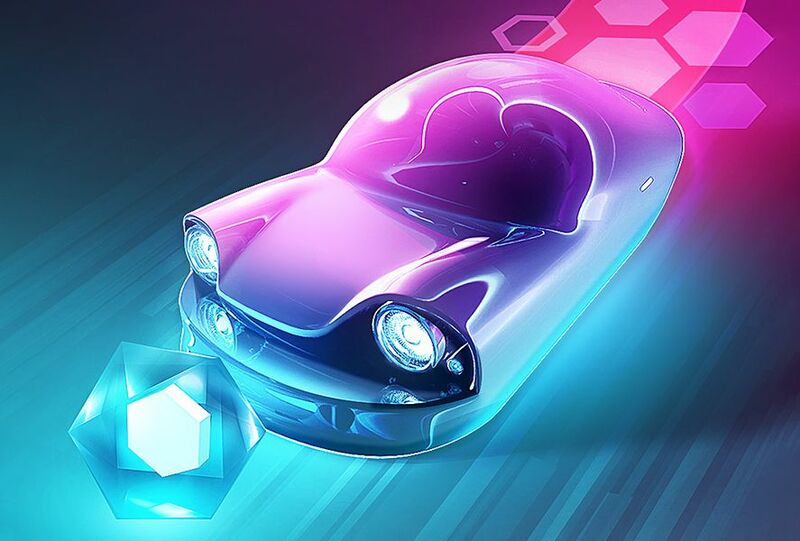 Looking at Beat Racer is something like seeing a more sophisticated version of Tron: ultramodern vehicles streaming huge graphic tails behind them. All the action happens in settings that might bring to mind the look of movies like Blade Runner or the recent (dud) live adaptation of Ghost in the Shell: huge neon buildings everywhere. But the important thing here is surviving on the highway and to do it you have to swipe to move your vehicle into any of the three lanes in the setting, all while you collect orbs that add rhythm to the gameplay and dodge the ubiquitous spikes along the way. The controls couldn’t be smoother or more straightforward for any smartphone gamer: swipe right or left to change lanes. You can also swipe up to jump or down to release a ray that halts the enemies coming after you in their tracks. And careful here, as zapping all of them is essential for carrying on as just a brush with one of them spells the end of your game. 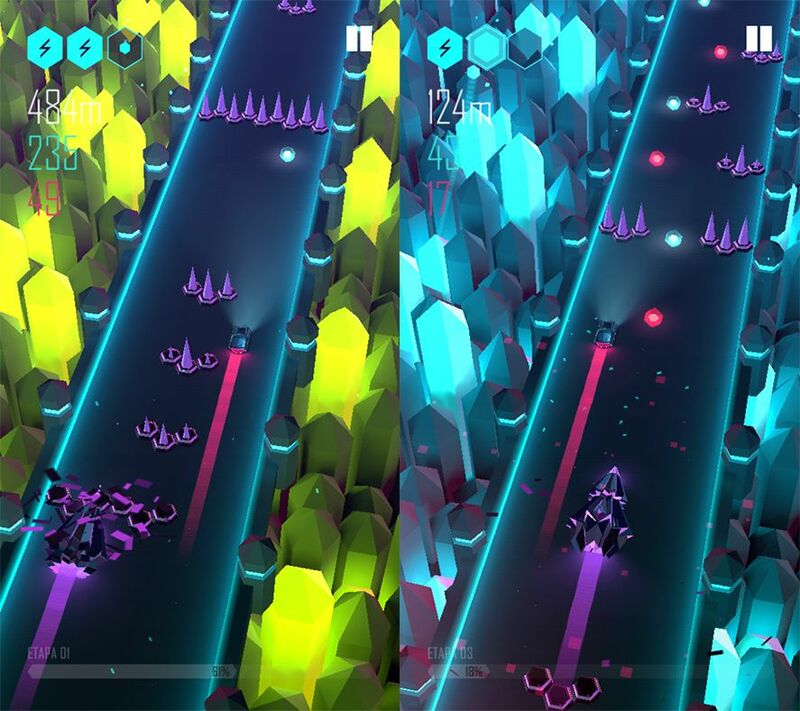 Beat Racer’s got an EDM soundtrack that goes with it kind of great, plus graphics that really shine. An arcade game full of vehicles and worlds to unlock that in many cases gets properly difficult on certain stretches of track.